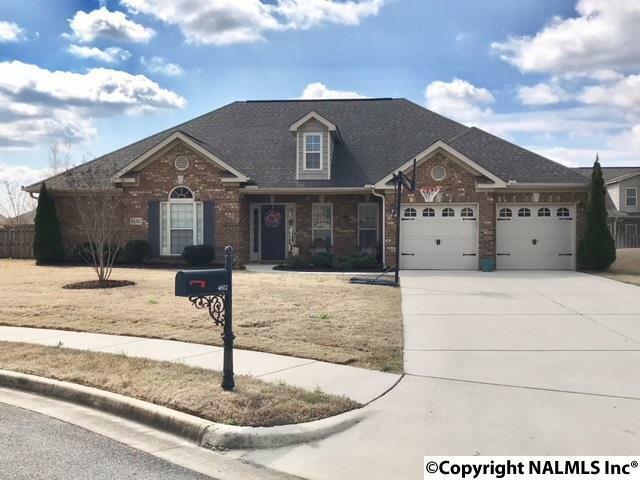 Beautiful one story full brick rancher set in a cul-de-sac, located minutes from Hampton Cove. Easy access to HWY 431 or to Carl T Jones Rd. This 3BR and 2BA home is priced to sell and includes a fantastic eat in kitchen with granite countertops and wood floors. The large living room offers plenty of room to entertain guest or just relax with the family by the fireplace. Master bath with large walkin closet, whirlpool tub, his/her vanities. Each bedroom has its own walkin closet. Enjoy nature walking trails. gated pool and pool house. your choice of multiple ponds for fishing and Flint River runs along the community with canoe and kayak access.